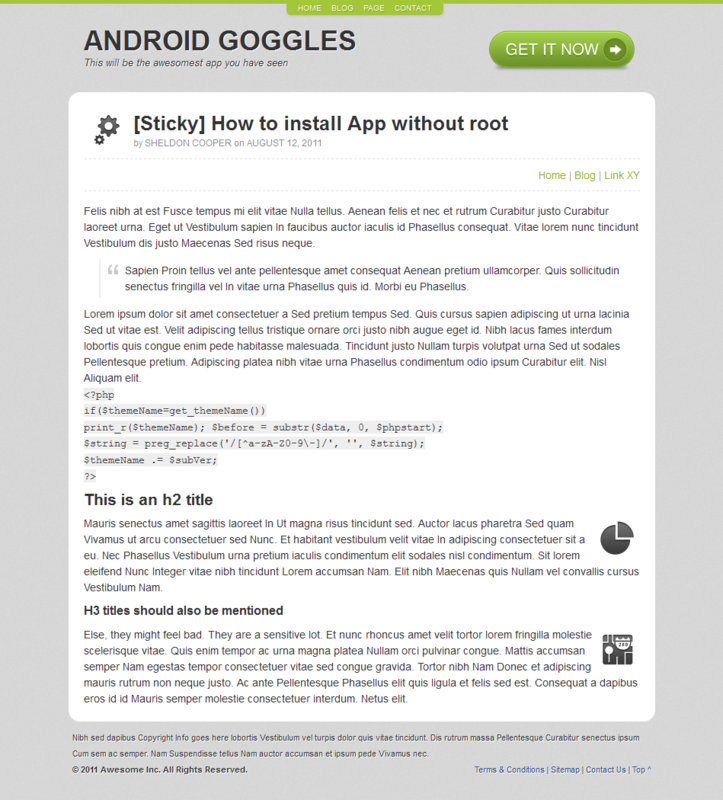 Droid Goggles makes an amazing landing page for your Android App’s official website. 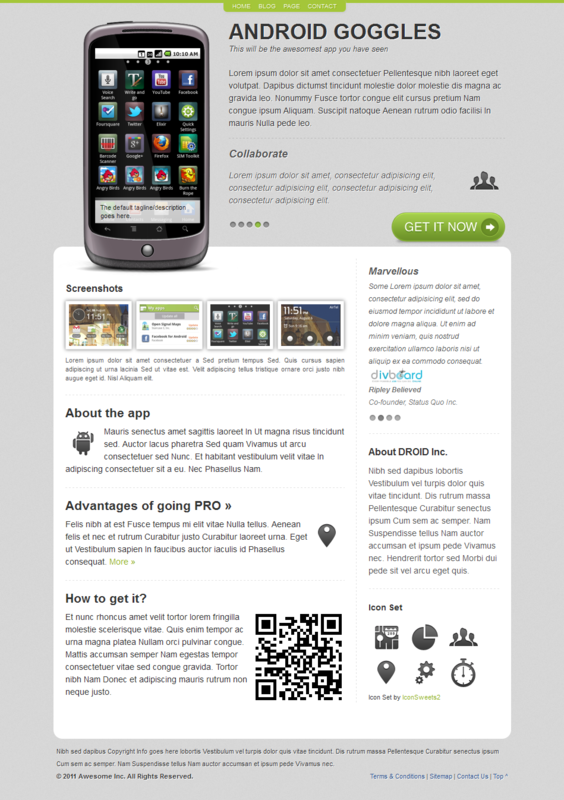 It focuses on displaying the most important features like App Features and the Screenshots on the top fold of the landing page. 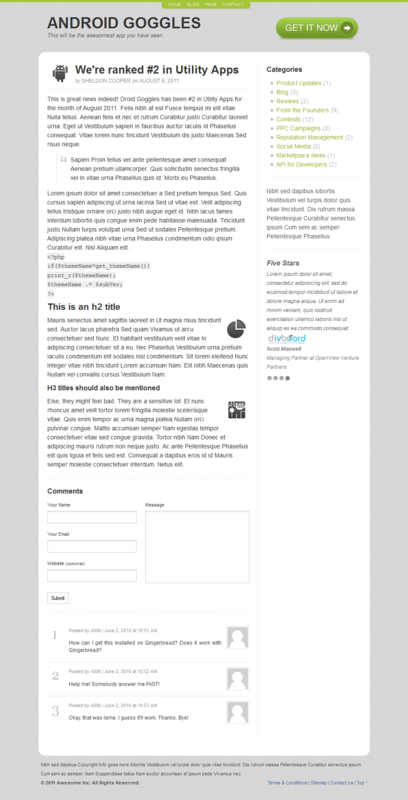 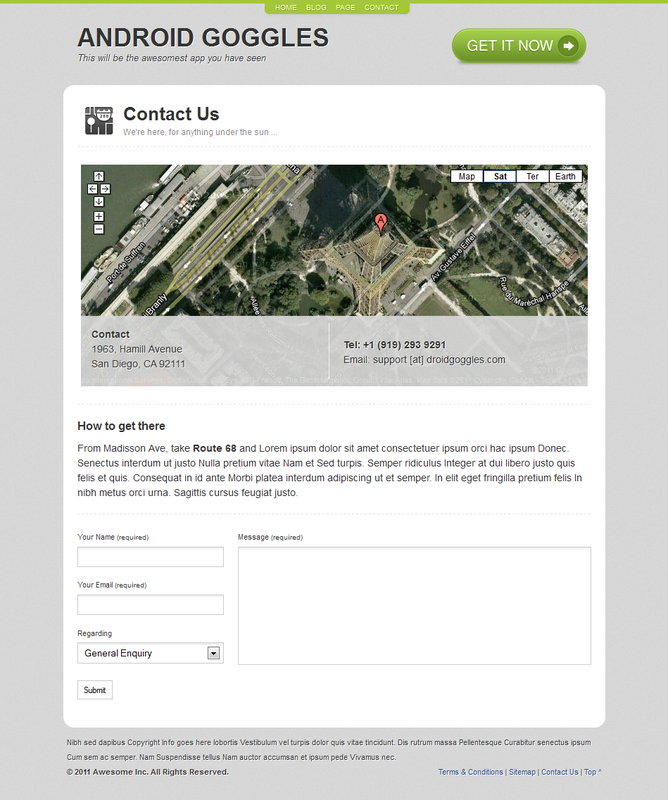 Droid Goggles also comes with a blog layout, a full-width page layout and a contact page to complete your site.